Not only are mattress protectors an essential component of mattress ownership, finding the right protector is key to a good night’s sleep. We tested the top mattress protectors to make sure they delivered not only on mattress protection but comfort as well. You’ll find our complete list of the best mattress protectors below – as well as who we think each one is a good fit for. Hot sleeper? On a budget? No problem at all, we’ve got you covered. We’ll also tell you what you should look for when buying your next protector. The Purple mattress protector goes on like a fitted sheet but the entire thing, top, and all four sides are 100% water resistant and water absorbent. This means if spills fall to the side of your bed you're still covered. 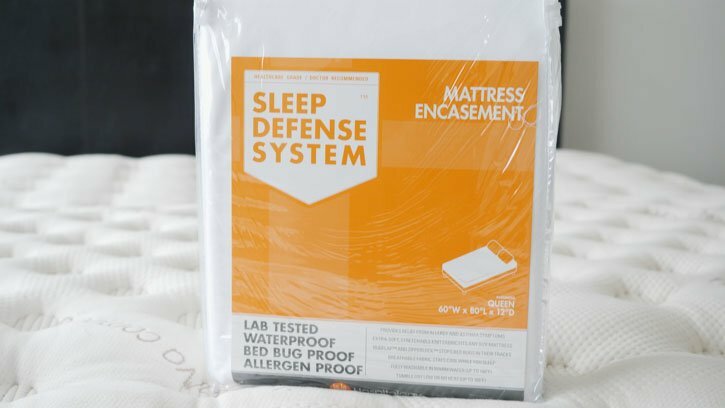 The Sleep Defense System mattress protector is lab tested to be bed bug-proof and allergen-proof. The encasement protector can be sealed and comes in two depths for a perfect fit. 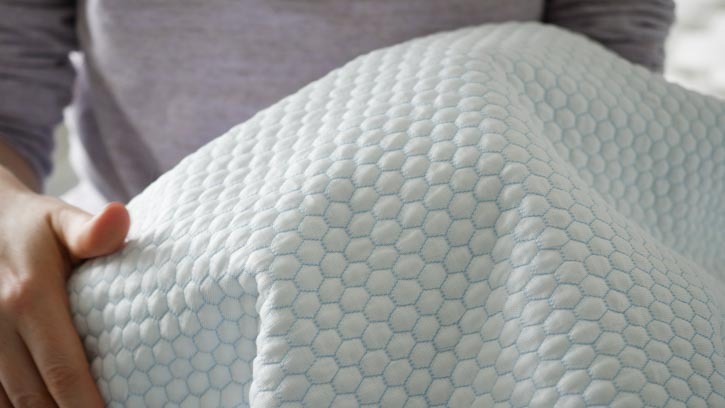 The Nest Bedding Cooling mattress protector feels cool to the touch thanks to Phase Change Material in the fabric. It has a quilted feel that's perfect for hot sleepers. 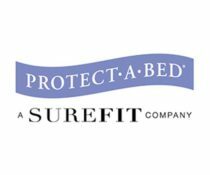 The Protect-A-Bed Allerzip mattress protector is an encasement protector that will stop allergens from reaching your bed. It comes in two depth sizes for a perfect fit. The Defend-A-Bed Premium mattress protector is a great fitted-sheet style option for those on a budget. You can find it at multiple retailers and under $30 for a Queen. Purple’s mattress protector is 100% water resistant and water absorbent. The entire protector has a 100% TPU Polyurethane layer so if spills or accidents occur on the side of the mattress, it won’t run down the sides and ruin the mattress. In addition to its lovely waterproof nature, the Purple protector is really comfortable. It fits all types of mattresses and its 85% Polyester, 15% Spandex material makes it virtually undetectable under your sheets. Read the full Purple protector review. Your dreams – and mattress – will be free of bed bugs with the Sleep Defense System. This encasement mattress is lab tested to be 100% bed bug proof. The protector comes with a bug flap and zipper lock, which essentially seals your mattress close. This is not only excellent bed bug protection but also protects your mattress from dust and allergens (making it a great protector for those with asthma, as well). Check out the complete Sleep Defense System protector review. 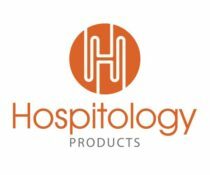 This protector provides five-sided fitted-sheet style protection and is waterproof, dust mite resistant, and hypoallergenic. What makes it so “cool” and one of my favorite protectors for hot sleepers is that the fabric has Phase Change Material in it (PCM). This makes the protector feel cool to the touch and also absorbs body heat at night and re-releases it when needed to help people keep a stable temperature. Nest Bedding’s protector is machine washable on cool settings and cool to no heat in the dryer. It comes in standard sizes and fits mattresses up to 18” deep. 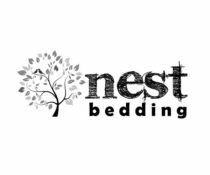 Check out the complete Nest Bedding Cooling protector review. The Protect-A-Bed AllerZip mattress protector takes its allergy (and bed bug) protection seriously. It’s Certified Asthma and Allergy Friendly™ by the Asthma And Allergy Foundation of America (AAFA) and it’s also an FDA Class 1 Medical Device and certified bed bug proof. It’s also a comfortable waterproof protector that comes in two depth options so you can find the perfect fit for your mattress. 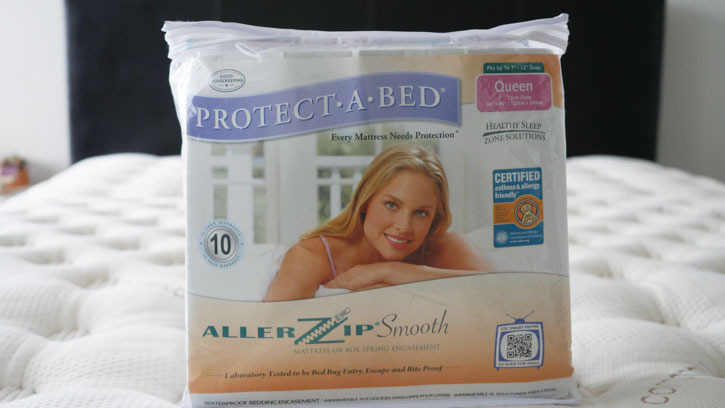 Read the complete Protect-A-Bed AllerZip protector review. 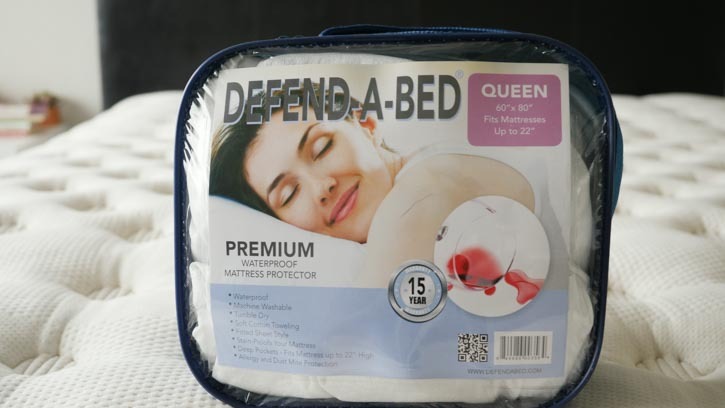 While the Defend-A-Bed protector is regularly priced at $49.95 it is often deeply discounted and sold at several retailers. You may be able to find a Queen size protector on sale for under $20. The cotton terry waterproof surface is breathable and can fit mattresses up to 22-inches. 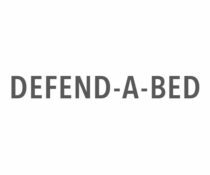 If you’re looking for a simple but dependable protector that will keep your mattress surface free from stains and allergens, the Defend-A-Bed protector is hard to beat. Check out the complete Defend-A-Bed protector review. Encasement (or zippered): The protector covers 100% of your mattress from the top to the bottom. The protector is often closed with a zipper. Fitted: A popular type of protector, this fits your mattress in the same way a fitted sheet would (tucked under your mattress with pocketed corners. Elastic strap: This protector lays on the top of your mattress while elastic straps wrap around the four corners. This anchors the protector to the mattress. Size: Mattress protectors come in sizes for every type of mattress – including RV’s, sofas and cribs (and mini cribs!). See also our article on the common mattress sizes. Some mattress protectors (like the Sleep Defense System protector) also offer different depth options so you can find a snug fit without a lot of extra material. Most mattress protectors come with some sort of waterproof material. This is typically Polyurethane but, in some cases, they’re made with vinyl. There has been some discussion over the safely using products that contain vinyl (and any toxic gas they may release). Many brands are choosing to make waterproof mattress protectors that are vinyl-free. You can read more about vinyl mattress protectors here. Encasement mattress protectors tend to be 100% the same material on all sides while fitted sheet style protectors tend to be one type of material on the surface (with waterproof backing) and a thinner, non-waterproof polyester on the sides. Care: Your mattress protector will most likely come with its own specific set of care instructions. Usually, protectors can be machine washed and dried. In some cases, the company may tell you that it’s preferable to let your protector air dry. Since heat can disrupt the waterproof membrane in your protector, always dry your mattress protector on low heat. Since spills and leaks can ruin your mattress (and your mattress warranty), you want to make sure your protector is in good shape and will keep any liquids or accidents from getting through. Protectors often come with their own warranty, which will become void if you do not follow the care instructions that are meant for your protector. Price: Mattress protectors come in a wide range of prices. You can find some for $20 (or less if on sale). The more services your mattress protector provides, the higher the price. Mattress protectors that offer temperature regulation (like the Bear mattress protector) tend to cost more than a simple waterproof cotton terry protector like Luna or Linenspa. Read more about what to look for in a mattress protector here.